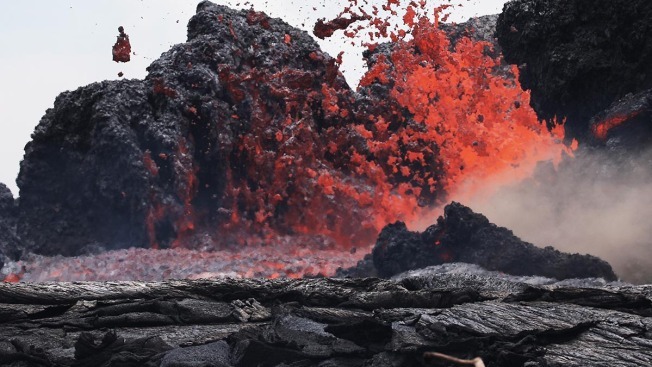 In this May 24, 2018, file photo, lava erupts from a Kilauea volcano fissure in Leilani Estates, on Hawaii's Big Island in Pahoa, Hawaii. 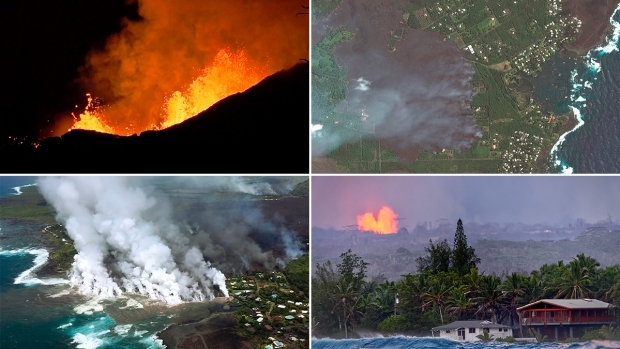 Scientists say there is no way to know when the eruption will end. Lava from the Kilauea volcano that flowed into Kapoho Bay has created nearly a mile of new land and officials with the U.S. Geological Survey said Thursday the flow is still very active and there's no way to know when the eruption will end or if more lava-spewing vents will open. 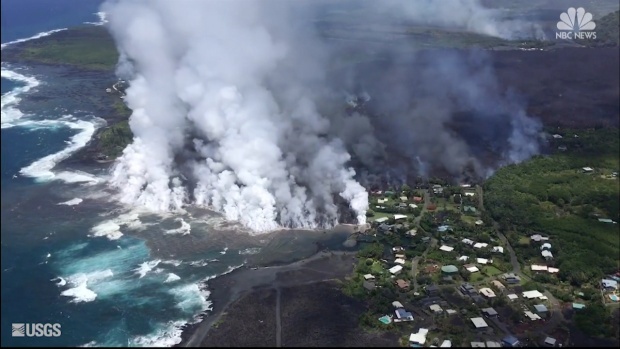 Lava pouring from Hawaii's Kilauea volcano destroyed two oceanfront communities Tuesday, burning hundreds of homes. Authorities say no one was hurt because residents listened warnings and were able to evacuate. The Hawaii National Guard warns there is still a threat and that not everyone in danger from the lava has left. The eruption of the Kilauea volcano on Hawaii's Big Island has destroyed two communities and burned hundreds of homes. 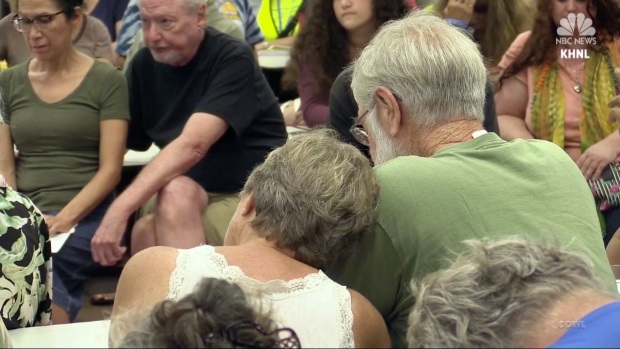 The mayor of Big Island held a community meeting Tuesday night as lava continues to disrupt life in the area.